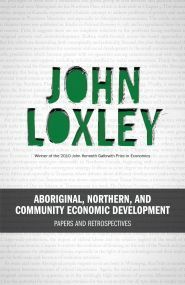 John Loxley has written extensively on community economic development. His innovative work is informed by his experience at the community and senior government levels. He is Professor of Economics at the University of Manitoba, a specialist in international development and finance, a member of the Royal Society of Canada, and winner of the 2010 John Kenneth Galbraith Prize in Economics.